Jorge Prado swept both motos of the MX2 season opener in Argentina, then had to miss the second round in Great Britain due to a shoulder injury. The MX2 World Champion returned in the Netherlands last weekend and picked right up again with 1-1 scores, though the points leader remains British GP winner Thomas Kjer Olsen. So, when else has a points leader missed a race, and what was the championship outcome? Last year, Jeffrey Herlings missed the Italian MXGP after breaking his collarbone, and Antonio Cairoli seized the opportunity to get back in the title fight with a 1-1 win. At the next round in Indonesia, Herlings was back on top. He went on to win the title in convincing fashion. 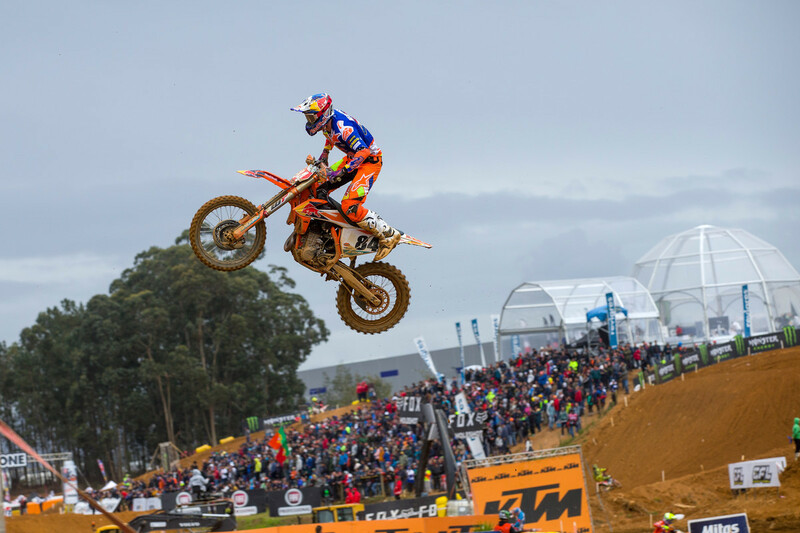 Herlings won the first 12 races of the 2016 MX2 Grand Prix tour, then got hurt and missed three rounds. He came back to win two of the last three rounds (his only loss to Cooper Webb at the USGP at Charlotte) and win the world title. Herlings was also firmly in control of MX2 in both 2014 and 2015 before injuries knocked him out of big points and almost-certain world titles. Husqvarna’s Martin Davalos was winning the 250SX East Region of Monster Energy AMA Supercross in 2016 when a problem with his visa meant that the Ecuadorian risked not being allowed back in the U.S. should he leave the country for the Toronto round. He stayed home and surrendered the points lead to Star Racing Yamaha's Jeremy Martin. However, neither of the two would win the championship, as Honda’s Malcolm Stewart eventually claimed his first—and only—250SX East title. In 2009 then-Suzuki rider Mike Alessi was the points leader after the first three rounds in 450 Class of the Lucas Oil AMA Pro Motocross Championship, only to show up at the High Point National, site of Round four, early to do some practice laps. He crashed, shattering his knee cap and putting him out for that race. Alessi infamously tried to return at the next round in Colorado and ride with a knee that was nowhere near healed. He was dropped by Josh Grant and his season was over. 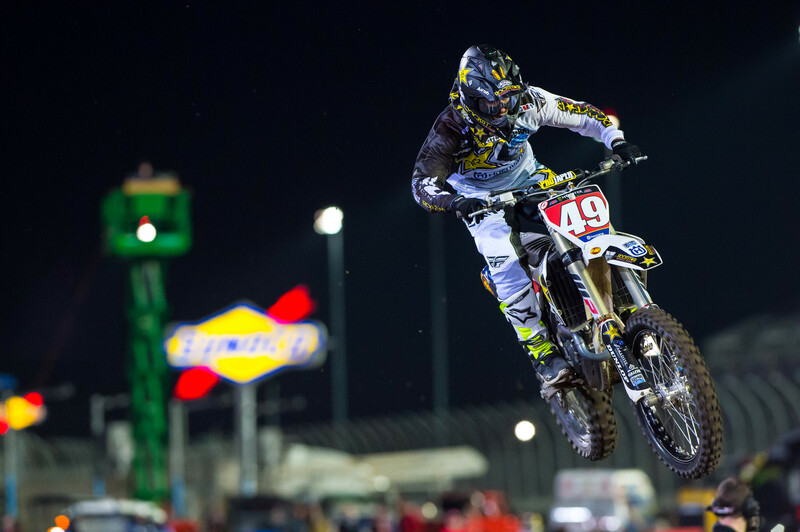 The winner at High Point, as well as the eventual championship winner, was Alessi's Suzuki teammate Chad Reed. 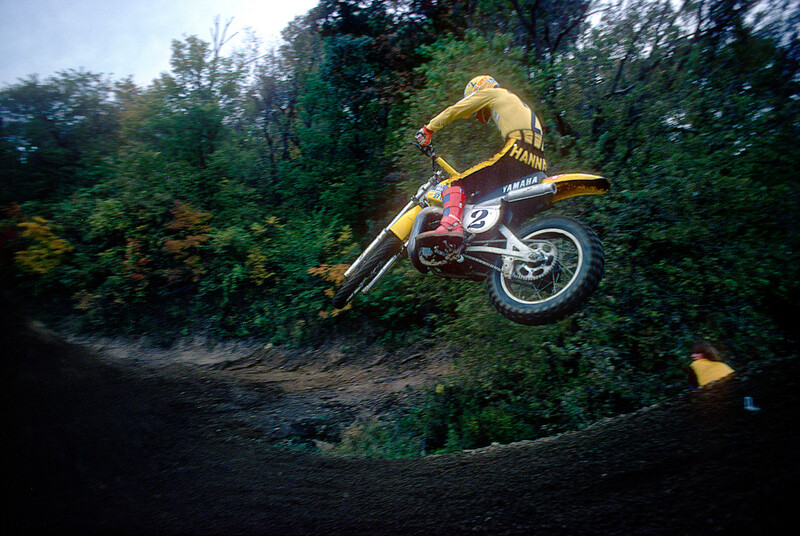 Yamaha’s David Vuillemin had the 2002 AMA Supercross Championship points lead when he famously got hurt during a magazine photo shoot just before the Daytona SX and had to watch the race on a scooter. It was the opening Honda’s Ricky Carmichael needed to move forward and eventually put away his second straight title. Jean-Michel Bayle shocked the world when he won the opening round of the 1989 AMA 250 National Motocross Championships at Gatorback Cycle Park in Gainesville, Florida. Bayle was only visiting, tipping his toe in the AMA waters in anticipation of making a move here at the end of the season, and he didn't show up at the second round at Hangtown. The winner there was Jeff Stanton, his future Honda teammate. The win marked Stanton's first outdoor national triumph and he would go on to win the title. In 1998, Chaparral Yamaha's Jeremy McGrath took over the AMA 250 Pro Motocross points lead when he won the second round at Hangtown, but then broke his arm and could not go for the third round at High Point nor the rest of the season. The eventual champion would be Doug Henry on the four-stroke Yamaha. In 1985 there was a really weird deal at the end of the outdoor season here in America. Back then all three classes—125, 250, 500—raced on the same day, at the same track. By the last round of the AMA Pro Motocross Championship at Washougal both the 125 and 500 Class titles had been clinched by Team Honda's Ron Lechien and Team Yamaha's Broc Glover, respectively. But in the 250 Class Honda's Johnny O'Mara was behind Kawasaki's Jeff Ward, and still had a fighting chance. So Honda decided to send 125 points leader Lechien up into the 250 Class for the last race since he had already clinched the title, and then also dropped 500cc runner-up David Bailey down to the 250 Class since he had no chance of catching Glover. And, coincidentally, Glover was hurt and decided to skip the last TWO rounds (Millville and Washougal) anyway. Come Washougal, the addition of Lechien and Bailey to the 250 Class did nothing to help O'Mara, who won the race, as Wardy finished second and clinched the title. But the move did hurt Bailey in that he lost the runner-up series honors to local hero Eric Eaton, a Yamaha Support rider who went out and won the 500 National! As for the 125 Class, with Lechien and his works Honda missing from the lineup, it opened the door for Suzuki's A.J. Whiting to win the one and only AMA National of his career. Cagiva rider Corrado Maddii was well on his way to becoming the first Italian to ever win an FIM World Motocross Championship in 1984 as he practiced the day before the final round in Ettelbruck, Luxembourg, when another Italian rider, Michele Fanton, collided with him as he practiced a start. Maddii suffered a broken leg and could not go the next day. Yet another Italian, Suzuki rider Michele Rinaldi, went out the next day and went 1-4 to win the title instead and take "first Italian" honors from Maddii. The winning margin was just three points. At the end of the 1981 season Mark "Bomber" Barnett was one race away from the first perfect season in AMA Motocross history going into the final round at Carlsbad Raceway. But then just before the race the undefeated Barnett crashed and broke his collarbone, ruining his shot at greatness. The winner instead was Johnny O'Mara, though Barnett had already claimed the title. Yamaha's Bob Hannah had clinched the '78 AMA 250 title when he got hurt practicing just before the final round at High Point and sat out the race, opening the door to Team Honda's Jimmy Ellis to get the win. Way back in 1972, after the first two rounds of the inaugural AMA 250/500 Pro Motocross Championship, CZ riders Sonny DeFeo (250) and Barry Higgins (500) were the points leaders, each having won their class at Road Atlanta and then the Memphis race. Both hailed from New York and were basically privateers, so when the third round went off at the Cal-Expo near Sacramento, California, neither made the trip! The winners there were Swedish rider Gunnar Lindstrom (250) and "Bad" Brad Lackey (500). Those are just a few that we can remember, can you think of any we missed? Please add them to the comments below. Live coverage from round four of the FIM Motocross World Championship.